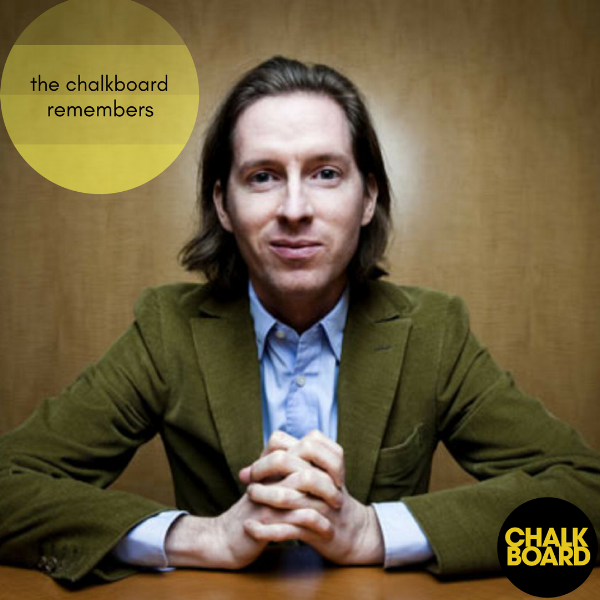 This post is written as part of our series The Chalkboard Remembers, where we're taking time to reflect on some of our favorite episodes in the history of The Chalkboard Podcast. This post is about You're a Touch Overrated, a mini-episode we produced about divisive film auteur Wes Anderson. Hello, I’m Micah, and allow me go to Amazon’s Movie Reviews section to show you how NOT insane I am when it comes to my Flaming Hot Cheetos of a Wes Anderson take. In writing about the film Moonrise Kingdom, a “love” story in the New England “wilderness” prominently featuring a boy scout and record player enthusiast in predominently pastel colors (shocker), user Denise Fizza gave the film 1 star and said, “This movie tries way too hard with all the hipster props. They show a dead dog. Monotone. Boring. Ten year old love scene. Absurd. Not appropriate. Turned it off.” Denise! Finally someone who gets me. The mini-episode You're a Touch Overrated was literally just me going ISO (like every Carmelo Anthony possession on the Knicks) to list all of the cogent, thoughtful, and completely backed-up-by-facts reasons why I think Wes Anderson, director of such cinematic delights as The Life Aquatic with Steve Zissou, is, as Taking Back Sunday screamed in “You’re So Last Summer,” a touch overrated. One of my favorite tidbits from the episode was when I was Wikipediaing during recording (a common Chalkboard occurrence), and found out that Wes Anderson’s mother’s name is Texas Anderson, and that she’s a realtor + archaeologist. It just explains a lot, man. I loved this episode because it allowed me to channel my inner Stephen A. Smith and rant and rave about a deeply held belief I feel strongly about: that people of my generation are duped into groupthink and consider Wes Anderson a good filmmaker and like his movies, when deep down, they're nothing but ideas emptied out of the last drops remaining of a crumpled La Croix can, with some Urban Outfitters aesthetic thrown in for good measure. This episode made me feel like I was Copernicus placing the Sun, rather than the earth, at the center of the universe. The wool is off your eyes! You know the truth! Wes Anderson isn't good. “A little too eclectic for its own good” is how another Amazon reviewer described Moonrise Kingdom, a movie that would’ve been better if it had been called Moonshine Kingdom and been an alternate history flick about King Arthur and Knights of the Round Table distilling their own alcohol. Now that's plot! “A little too eclectic for its own good” describes Wes Anderson's universe at-large, and while Eric's face cringed at every sizzling argument I made during this episode (and we got some of our most venomous feedback from people who think The Royal Tenenbaums is interesting), I'm glad we put out this educational 15 minutes or so of podcast for the world to hear.